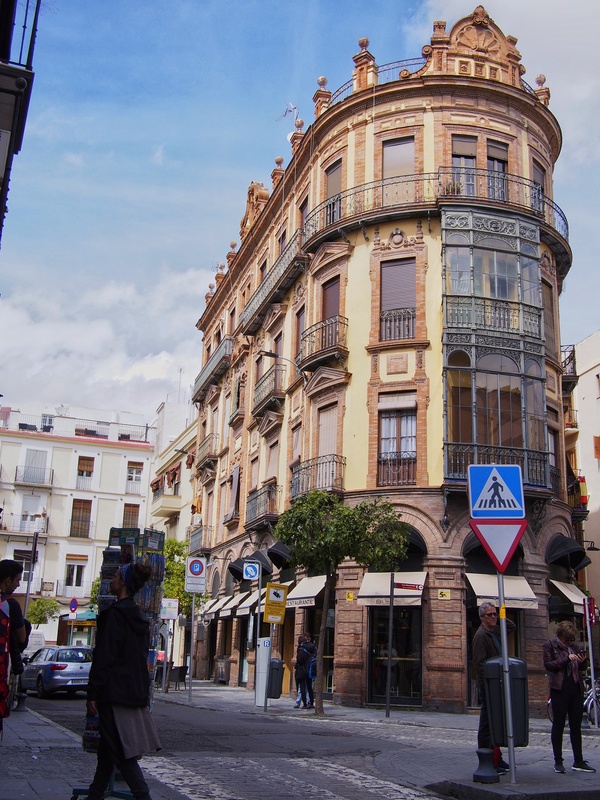 Seville is a lively city and is already buzzing with tourists at this time of the year. 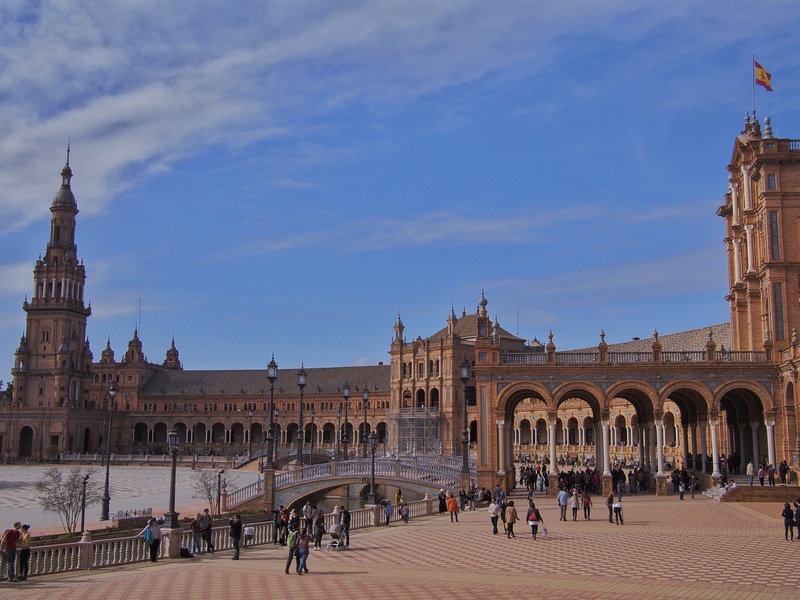 The first day we went for a bike ride through the city and stopped at the Plaza de España. The park next to it, Parque María Luisa, was closed for the most part dew to storms that had passed within the days before. Instead we went past some of the pavilions of the world fair Ibero-Americana of 1929. 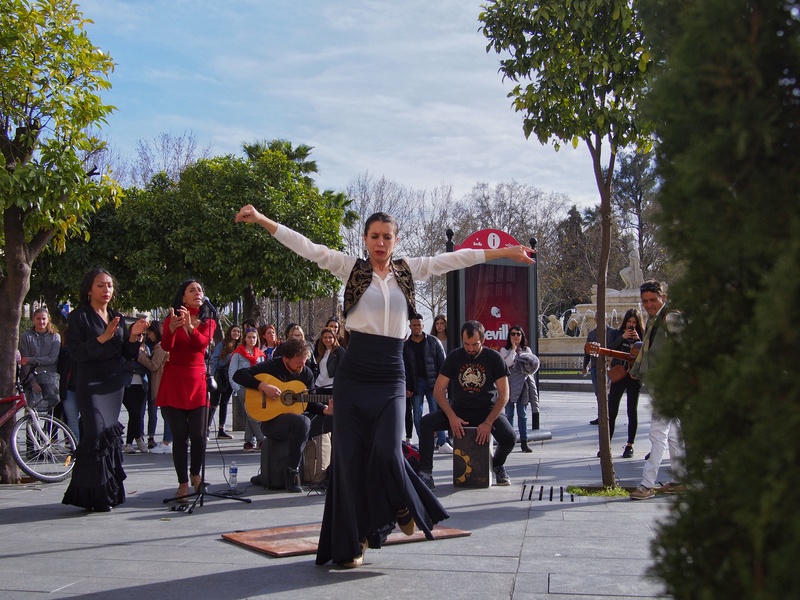 We had already seen a flamenco band with dancer on the Plaza de España and were lucky to see another show on our way back to the hostel. The next day we took part in almost every hostel activity there was. 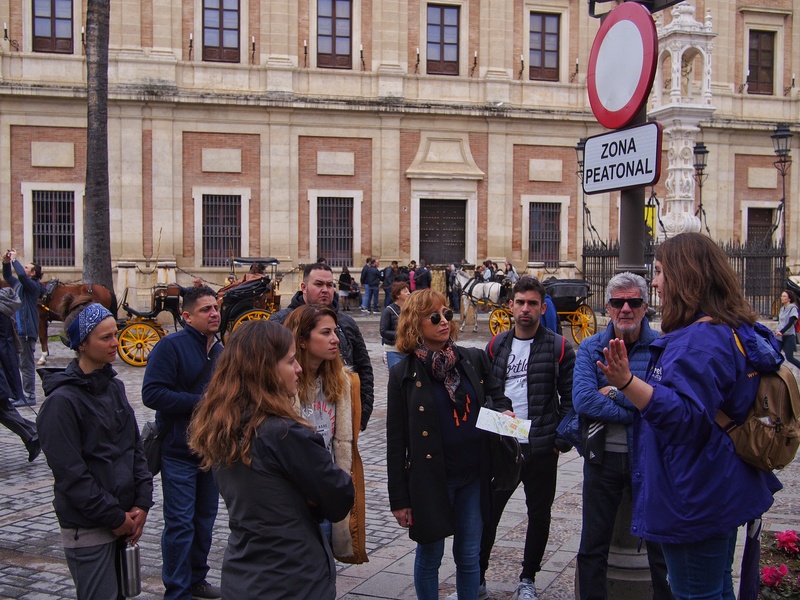 We started with a tour through the city in which we covered almost every important monument and its history. The group with our guide Adela in front of the General Archive of the Indies. 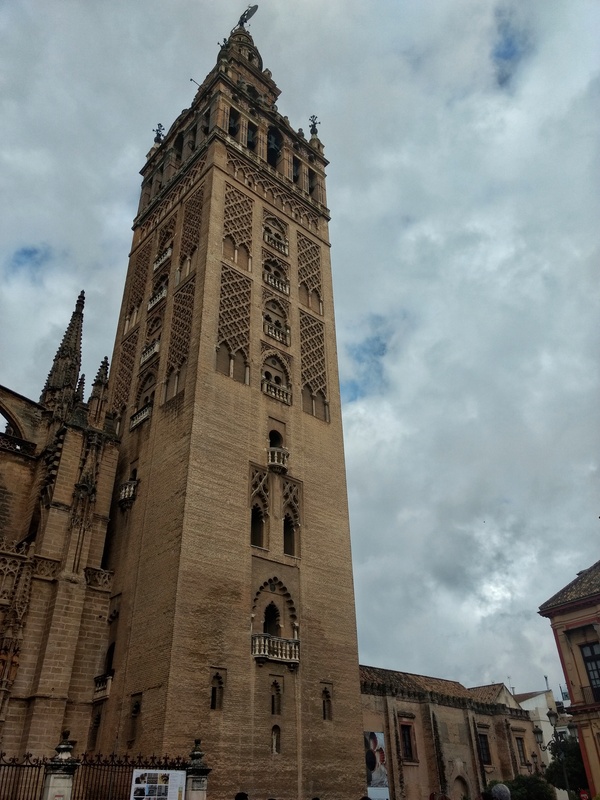 One of the most impressive sights of Sevilla is the the cathedral with the Giralda, which once was a minaret intended for the chief mosque. After the christian conquest of the city, it was converted into a bell tower. We left the tour halfway through, not because it was boring, but we enjoy exploring on our own. Many streets are unique as are many of the buildings and around every corner there seems to be something interesting to see. In the evening there was a free dinner at the hostel. Which turned out to be good, but not enough for two hungry cyclists. Luckily we still had some rice and papas bravas left in the fridge from our lunch. After dinner we went to a flamenco show. With around 20 people from the hostel it was not always easy to navigate through the city without losing some of the pack once in a while. The place was already packed when we arrived. The show itself was unplugged. It took a while until the room became quiet and one could appreciate the music. But on the other hand this created an atmosphere of attention that made the experience more intense. We felt rested when we left Seville and recharged with all the social interaction, that we missed a bit in the weeks before while camping.